In my opinion, good choice of a compound bow brand can reflect on the overall performance and total comfort while shooting. Just like any other sports and outdoor products, compound bows are widely advertised as technology-driven in construction to suit all user demands in terms of performance and price. There may be some out there that do not yield a high price tag, but most of the time, the expensive ones deliver better. Whether you are an aspiring or a professional archer, a good compound bow is necessary to achieve overall hunting and shooting experience. 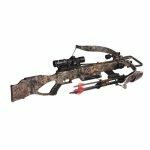 Do not be overwhelmed with bow construction terminology or manufacturing techniques normally presented by compound bow manufacturers. Admit it or not, there are still some times where we get bought off by their sales talk. 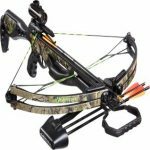 However, it is still best to check the compatibility of your preferred compound bow design and other related bow accessories to bring your archery game to a high level. Before selecting your desired compound bow brand, consider your draw length to determine the size of the bow. The bow performance does not only mean brand loyalty, but also a compliance with your physical built, dominant shooting sight and draw weight of your shooting hands. 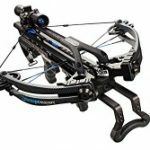 Unfortunately, not all compound bow manufacturers designed the bows in perfection, yet they will somehow fit your shooting standards and desirable bow style. No matter how innovative it is for the manufacturers to build modern compound bows today, pros and cons will always be a part of the product performance and criteria for the shoppers. So here are some of my top picks of the best compound bow brands which I found not only a good investment of money, but also a great investment on my hobby. For many serious archers, Bowtech remains to be a great choice for its versatility in settings and its mastery of binary cam systems. Bowtech compound bows are designed for archers with long draws and flexible draw weights, making them versatile for both hunters and professional athletes. Perfect for long-draw archers, the Boss features the remarkable PowerDisc, which enables you to customize settings in accordance with comfort and shooting accuracy. However, this model is not fit for smaller-built archers. The Eva Shockey Signature bow is specifically designed for serious female archers. Designed by celebrity huntress Eva Shockey, this premium compound bow is equipped with PowerShift technology and Overdrive Binary Cam systems to give you an optimum shooting experience like never before. A breakthrough in modern compound bow design, the Fanatic has what it takes to customize your shooting consistency. Featuring the shoot-through riser, it holds your compound bow in position until you fire. The Fanatic model also features adjustable three-position let-off options with low, medium and high settings which help reduce the draw weight up to 75%. A revolutionary model on its own, the Prodigy introduces the PowerShift Disc technology. This incredible disc enables you to customize your power settings to achieve desired output from the weapon. Select your preferred power settings with performance, classic or comfort settings depending on shooting location and weather conditions. Performance settings provide power and speed for your weapon while classic settings give generous power and enough comfort levels. In addition to this, performance and classic settings are adaptable on mild and humid weather conditions while comfort settings are appropriate on cold climate conditions. 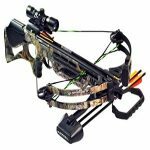 Bear Archery is known as one of leading compound bow manufacturers at present. 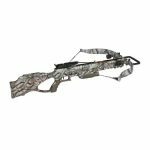 It has been consistent in making the ranks in many hunting publications for its strong commitment to produce high-quality, professional-grade bow products. The Bear Arena 30 model is lightweight in construction and has a generous brace height of 6.5 inches, making it adaptable from aspiring archers to professional hunters. It also features an H15 Hybrid cam system designed to give you a manageable draw cycle and maximum speed up to 345 fps. This makes the Arena 30 a good choice for long distance shooting. If you are looking for a much better shooting result, the Bear Escape is specifically designed to shoot arrows at a speed as fast as 350 fps. The Escape model also features the revolutionary H15 Hybrid cam system for an easier and smoother draw cycle. An ideal compound bow for aspiring archers, the Cruzer features the MV cam system which has a capacity to change the draw lengths from 12 inches to 30 inches. The ergonomic grip handles of the bow reduce hand torque for better shooting accuracy. The Bear Cruzer is also a good choice for those with limited budget, however, the size of the Cruzer is not recommended for large-built archers. With its serious design look, the Carbon defiant Turbo offers superior shooting accuracy with draw length adjustments from 26 to 28 inches, giving you a zipping arrow speed of 350 fps. Perfect for long draw archers and hunters, the Carbon Defiant 34 features appropriate compound bow size to accommodate draw length adjustments from 27 to 29 inches and arrow speed up to 325 fps. This makes Carbon Defiant 34 a great choice if you are up to a treetop shooting. There you have the three best compound bow brands available on the market today. Aside from these, you may also consider other famous brands such as Diamond Archery, Apollo Tactical, PSE, Alpine and others. 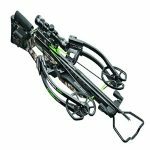 Each brand is unique and innovative in design to make the compound bow adaptable for its users because manufacturers believe that a compound bow is a well-rounded personal tool – and it is, for me!